The Bon Secours Arena is a multipurpose arena built in 1998 at a total construction cost of $63 million in Greenville, South Carolina. 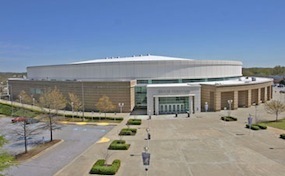 The Bon Secours Arena is mainly used for concerts. The seating capacity offered by the Bon Secours Arena box office is 15,591 for most concerts. The Bon Secours Arena has hosted a couple different NCAA Basketball Tournament games. However, due to current regulations it is not eligible to host any of the games until the Confederate flag is taken off display at the South Carolina State House. Common Bon Secours Arena tickets include the PBR Series, Ringling Brothers, WWE, Monster truck rallies, motocross racing, ice skating, and dog shows. BonSecours.ArenaGreenville.com is not affiliated with any primary vendor or box office. We are a privately held company that specializes in providing a large supply of online inventory at the lowest prices. To purchase tickets to any Bon Secours Arena events simply click on the event of interest or call our operators at anytime.